Many crossover titles have previously been released in Japan with no hope of Western fans being able to enjoy them due to the game/light novel/anime licenses creating a massive mix-up that previously seemed like a huge hurdle. 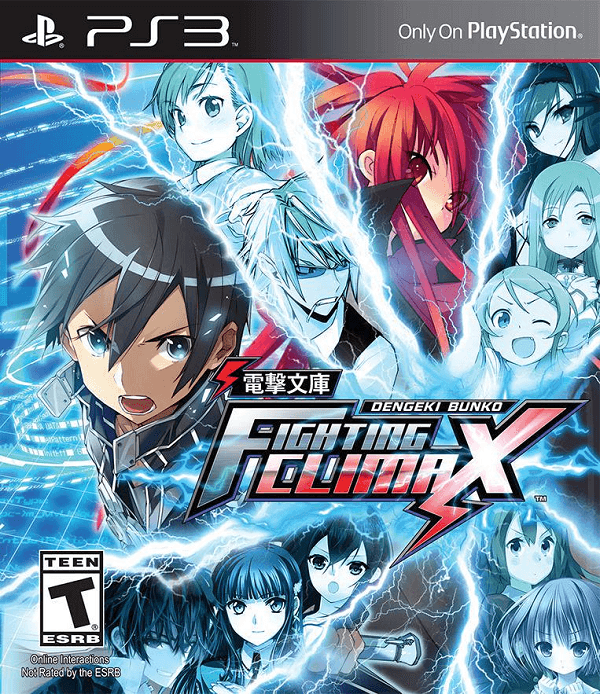 However in recent years these various cross-over games have started to make their way to the West and the latest one happens to be the Japanese light novel publisher Dengeki Bunko’s crossover fighter Dengeki Bunko: Fighting Climax. Is this latest crossover one worth picking up for fighting fans and fans of the properties? 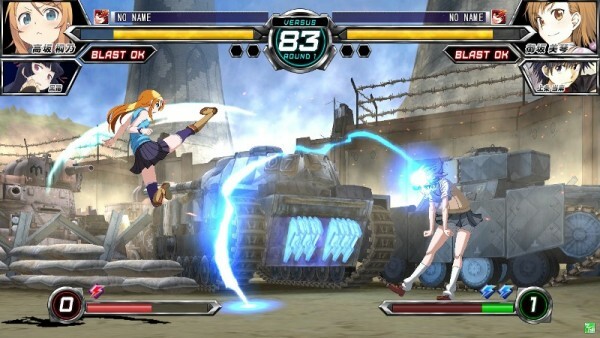 There are two separate story modes found within Dengeki Bunko: Fighting Climax, the first of which happens to be the standard arcade mode that allows the starting twelve playable characters, all taken from light novels published by Dengeki Bunko, to run through a series of battles as they are called in by Dreamcast (called Denshin in this) from the Sega Hard Girls to face off against an evil entity known as Zetsumu who has absorbed the dreams of characters it has beaten. The arcade mode is fairly enjoyable but at the same time is rather simplistic and varies little between selected characters, outside of the final boss of course, but the real meat of character interaction comes in the form of the other mode, Dream Duel. In Dream Duel Mode players will select one of their characters and then compete against six other fighters in any order they choose with these characters having unique dialogue between each other between fights. This includes Kirino from Oreimo being jealous of Mikoto’s 20,000 sisters and various other pieces of colorful dialogue that sees characters from many different genres interact before squaring off against one another. It does seem rather odd that since most of the conversations are far from hostile that they always result in a fight even if the two characters are amiable towards one another as their interactions could have been explored a bit more considering the cross-over nature of the game. Also it is worth noting that the two unlockable characters from Sega’s other properties are not playable in either story or Dream Duel which is a bit disappointing as they are only available for use in Dengeki Bunko: Fighting Climax other gameplay modes. In many ways Dengeki Bunko: Fighting Climax feels like it was designed to be as approachable as possible for fans of the series featured in the game to be able to pick it up and play without too much of a hassle. You see, this 2D fighter features fairly simplistic combat styles that primarily make use of three buttons to use weak, medium, and strong attacks as well as a button to call in your assist character, but the fourteen, in total after unlocks, character roster also have fairly simplistic inputs to execute most of their special moves and powerful Climax Arts that usually remain the same making them easy to learn at the start. This does mean that there isn’t as much depth here as some fighting games of this ilk may offer but it does create an accessible title that still has some depth to it thanks to the various other mechanics that come into play and some balance issues that make some characters quite a bit better than others. Players will be able to take advantage of a decent training mode to learn some of these mechanics and practice their combo skills since, although an auto combo is implemented for easier attacks, being able to string together large combos is still something that requires proper timing and, depending on the character, proper usage of canceling to continue the onslaught. As mentioned earlier, certain special attacks and Climax Arts require the player’s Climax Gauge to be filled up to a certain point, requiring the dealing and receiving of damage to usually fill up, before they are able to be used. This gauge plays a larger factor than simply that however as players can also trigger a Blast or Power Up to try and free themselves from an opponent’s combo chain or boost their gauge level, something that may be worth risking early at times. This gauge also comes into play when calling in your assist character for a cancelation move as doing so does require one level to be removed when activated. While each character has unique Climax Arts, they also have unique Trump Cards which are powerful attacks that can only be used twice per fight and can potentially swing things in the user’s favor if they connect properly. This also comes into play regarding certain characters’ styles simply being far more accessible and easier to use than others with Shana from Shakugan no Shana being a rather simplistic but powerful fighter, Tomoka serving as more of a tricky fighter, and Misaka being something of a zone fighter with a wide range of long distance attacks at her disposal. 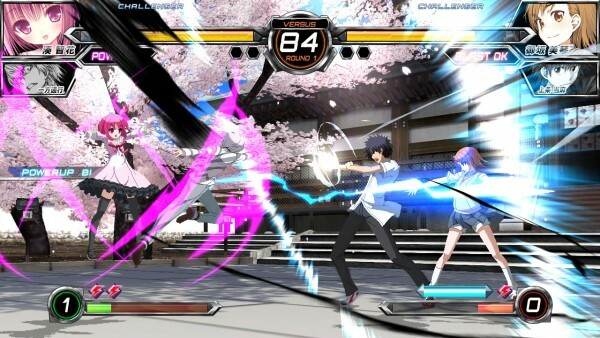 Players will have plenty of chances to learn what characters best fit their playstyles as they take advantage of the various gameplay modes available such as the two aforementioned story modes, Training, simple Versus Mode that allows for offline fighting, Score Attack, Time Attack, and Survival, all of which are fairly standard for a game such as this. Of course if you want to take the fight online that is also possible as the title does support online matchmaking allowing for ranked battles as well as simple player battles. These player battles allow players to search for open rooms and although it does seem to work rather well, the netcode does become a bit of an issue from time to time as my time spent online usually saw me battling against Japanese players that resulted in poor connections or rooms that were already filled despite showing open slots. Of course the fights that I did manage to find a decent connection with were handled quite smoothly but this is unfortunately something of a rarity. As a bit of an added bonus, players will earn credits through fighting that will allow them to unlock various customization options to show off online. These range from additional color palettes for characters, different icons, titles, and plates to change how they will look online, and even the signatures of members who worked on a certain series, usually being the voice actor/actress for a character, their artist, and writer. 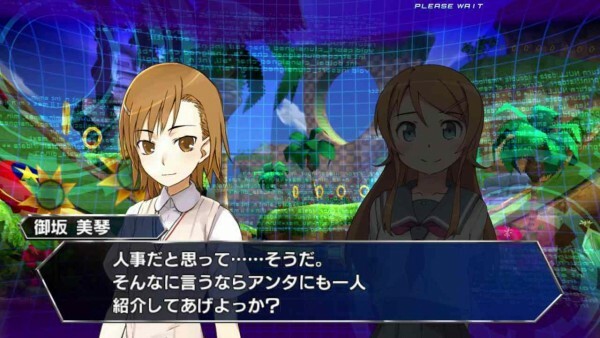 Since Dengeki Bunko: Fighting Climax happens to be created with the light novels as the source material, it is worth noting that most of the character portraits displayed won’t exactly match the artwork some fans may be familiar with since some of these series only have appeared in the West via an anime/manga adaptation, though since these adaptations were already quite close then fans will immediately be able to pick out their favorite characters among the roster as these characters are still well exceptionally represented here in sprite format. The stages have taken inspiration from a number of other Sega properties, some of which are quite iconic such as a Sonic stage while a few others may be hard to recognize at first outside of the Valkyria Chronicles level. 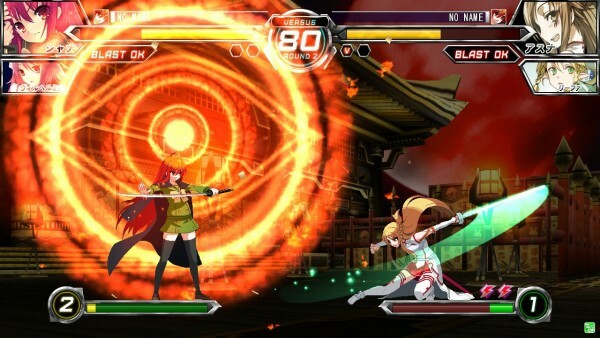 Actual combat is fairly impressive looking with plenty of special attacks looking as flashy as one would hope for an anime styled fighter and the Climax Arts usually featuring special moves that mirror certain powers these characters regularly use such as Mikoto firing a supercharged coin at her opponent. The soundtrack found in Dengeki Bunko: Fighting Climax is fairly enjoyable but the real treat is how the entire game features the original Japanese voice actors returning for previously voiced characters. This leads to some humorous moments where players will have Rie Kugimiya fighting against herself as Shana and Taiga duke it out, and fans of the anime adaptations will appreciate the extra effort put into the voice work provided both inside of combat and during the two story modes. 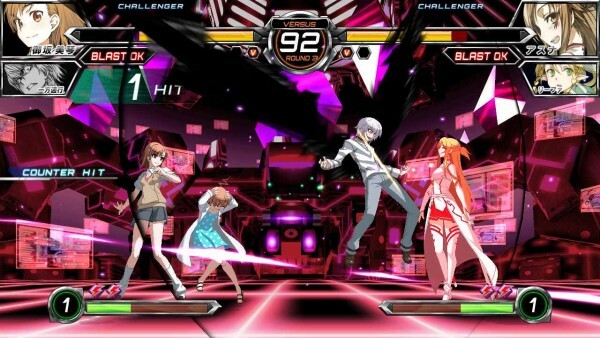 Dengeki Bunko: Fighting Climax is a fun fighting game that is easy to pick up and not very hard to master as many of the characters are extremely accessible even if this does mean that there are some balance issues with certain characters. Fans of the characters represented in this game will find them lovingly recreated with the same voice work, special moves, and designs that they are familiar with although the story could have been expanded more and the combat is far from complicated. 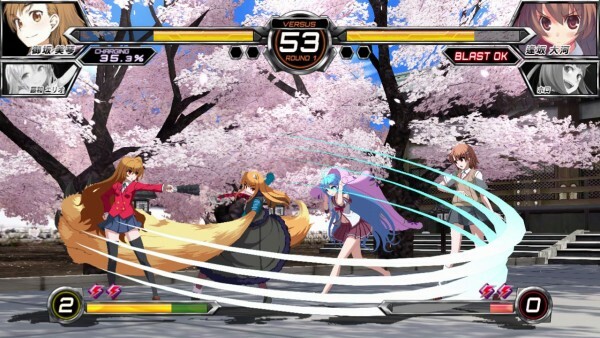 Those looking for a fun and flashy fighting game containing some of their favorite characters or even those looking for an accessible fighter will be quite pleased with what Dengeki Bunko: Fighting Climax has to offer.